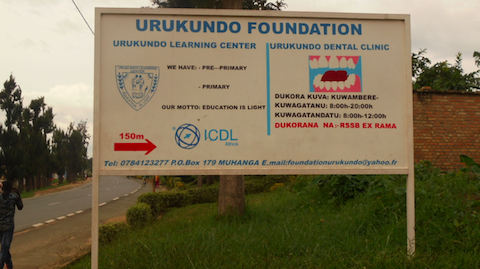 New to the Urukundo sign is ICDL. School, Dental, Foundation and now ICDL for computer training. With ICDL, an advanced computer training class with qualified teachers is available to the community. Police, bankers, businesspeople, district employees and any other interested groups or individuals are invited. Classes will begin in March 2018. They are in process as you read this sign. To those readers in Rwanda: Delighted to have you join us. Call 0788919754 for information. It might be a bit of a trip from outside the country, but you are also welcome.